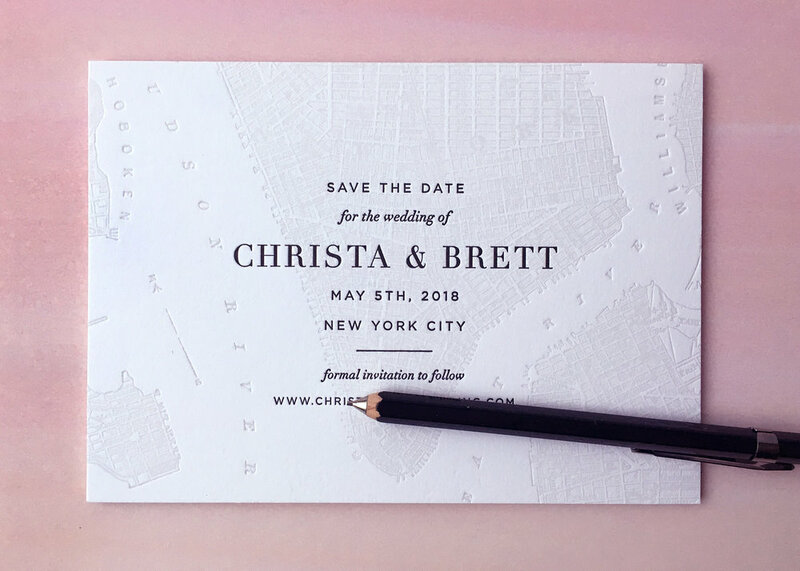 One of our favorite things to print are vintage maps, and this Save the Date for a Long Island wedding is no exception! We printed a lovely soft blue in the background with navy ink on top. The little heart is a cute detail to mark the spot of the event. Congratulations to Katy and William on their wedding today! We have loved working with this family over the course of a year to design and letterpress print their wedding stationery. This is a perfect example of a traditional invitation design with a bit of humor. 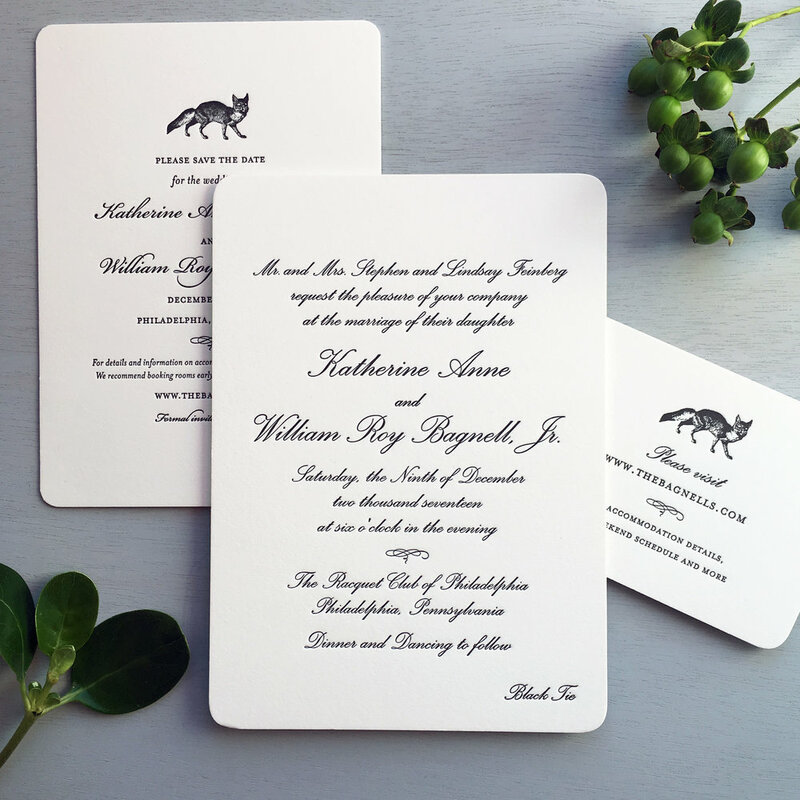 The invitation card is very classic in design but the addition of the sweet fox on the save the date card and website card adds a bit of levity to the suite. We wish them all the best on this happy day! Here's a roundup of a few of our favorite vintage map save the dates! 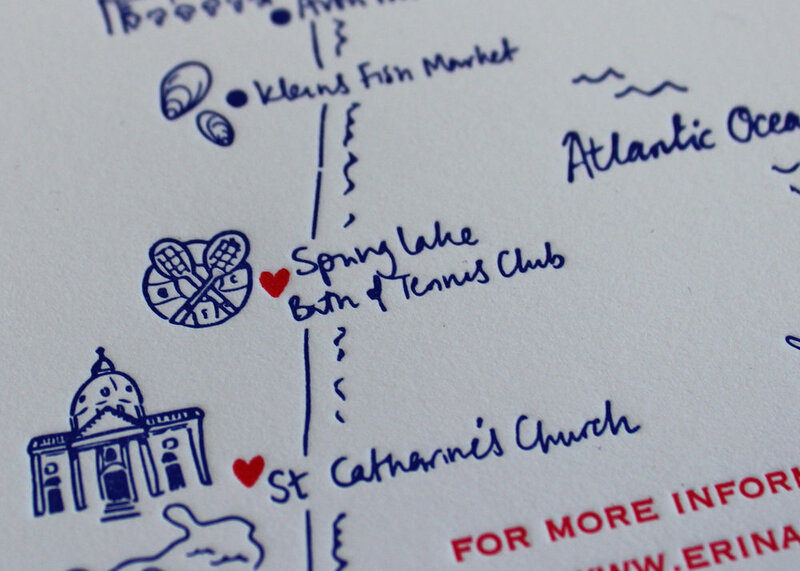 We love combining a map of the wedding location with some classic type. Sometimes we print these as post cards, which adds a layer of fun to the mailing process. Contrasting colors always look great, especially when there is a bright pop of orange or red like this Bethany Beach, Delaware save the date! If you're having a wedding in the summer of 2018, now is a good time to start thinking about your save the dates and invitations. Contact us at info@sesameletterpress if you would like to work on your project with us! 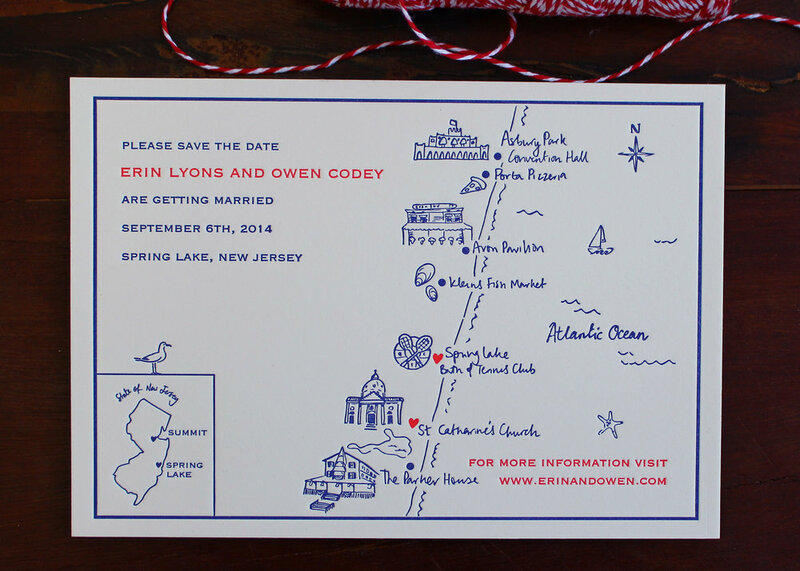 We love vintage maps, for their hand drawn detail and classic look, so its no surprise that we're really into these Cape Cod Save the Date cards! The cape is such a beautiful destination for a summertime wedding. 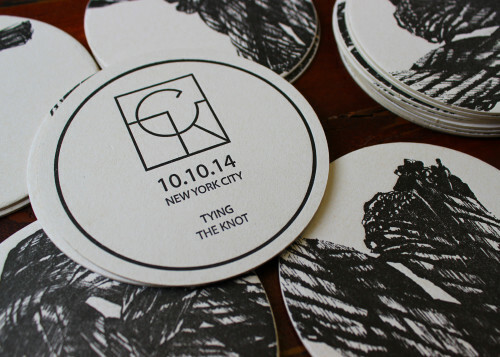 These letterpress cards give a nod to the nautical, without going over the top with the theme. The map is printed in a dusty blue, with navy text on top for some interesting layering. A navy heart marks the spot of the nuptials in Harwich, Massachusetts. We are big fans of nautical and maritime imagery and it features on so many of our printed items. From our octopus coasters to our deluxe anchor notecard sets, we love finding ways to reference the sea in our work. 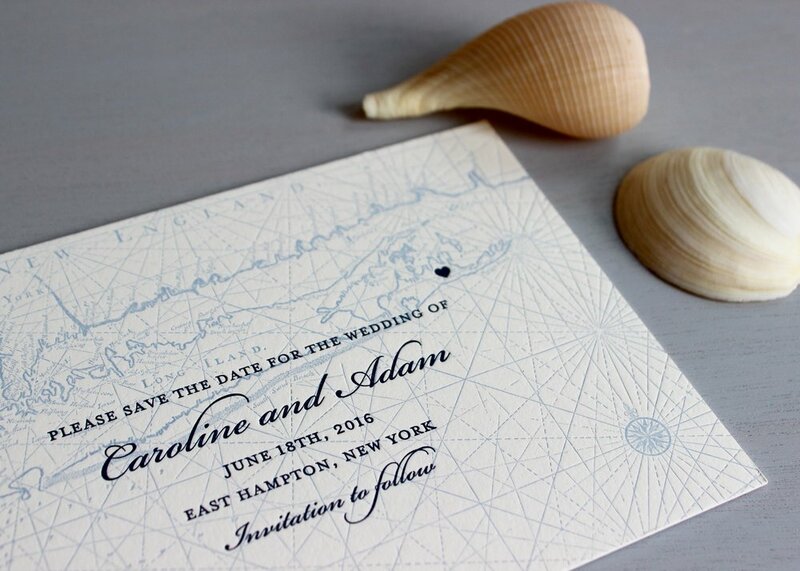 So obviously, we adore working with couples to incorporate their vision of the coast into their printed stationery. We've recently worked with two lovely couples on their Save the Date cards. 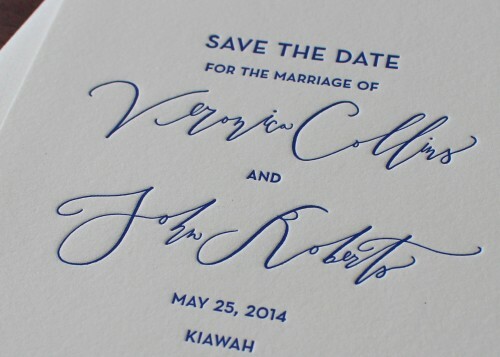 We love how this Save the Date looks and we can't wait to share photos of their actual wedding invitations! We're so excited to hear all about both of these weddings! We are working with a delightful couple at the moment to design their wedding invitations. A few months ago, they approached us to work on Save the Date cards and so it's lovely to be following the progress of their wedding plans. The bride had a nice clear idea about the design she was looking for: something informal yet elegant. The colors pop and we like how the champagne bottle motif anticipates a really fun wedding! 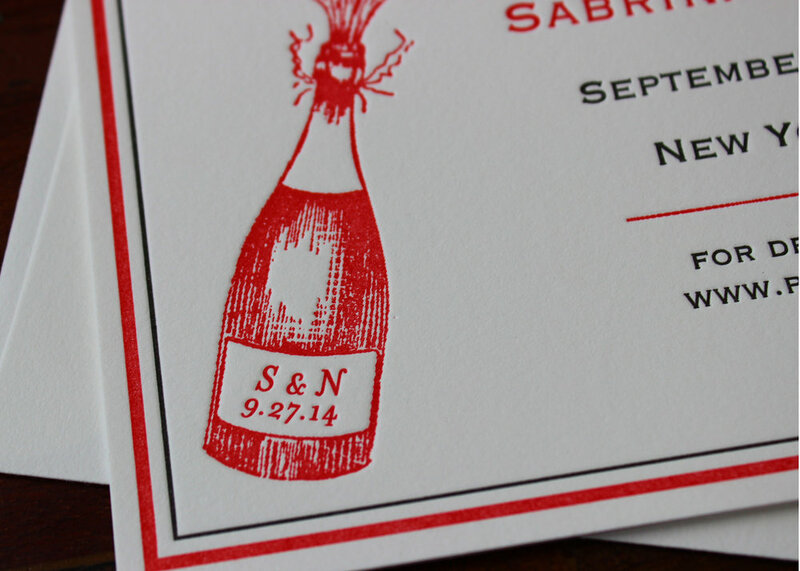 We also customized the design a little more by adding Sabrina and Nick's initials and wedding date to the champagne bottle label! Kiawah Island Wedding: Part 1! We love the unusual colors used here: two shades of green and that little flourescent pop of pink to catch your eye! 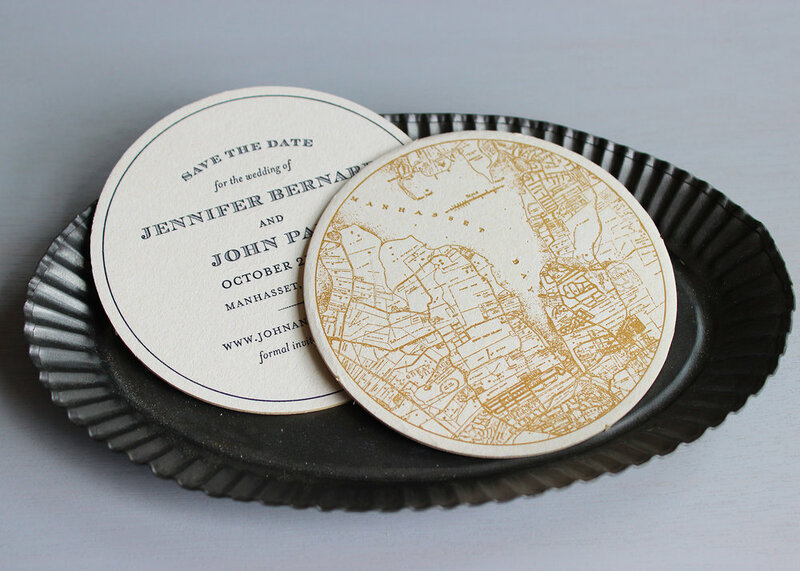 This is a great design for a Save the Date and we can customize the map to suit the location of any wedding.